I honestly don't even know where to start with these two - they were so much fun! We always start our sessions with a few basic poses so we can get an idea of how our couples interact with each other and how we should direct them throughout the session. About 5 minutes in, Nick asked if he could pick Lauren up and everything just evolved from there! 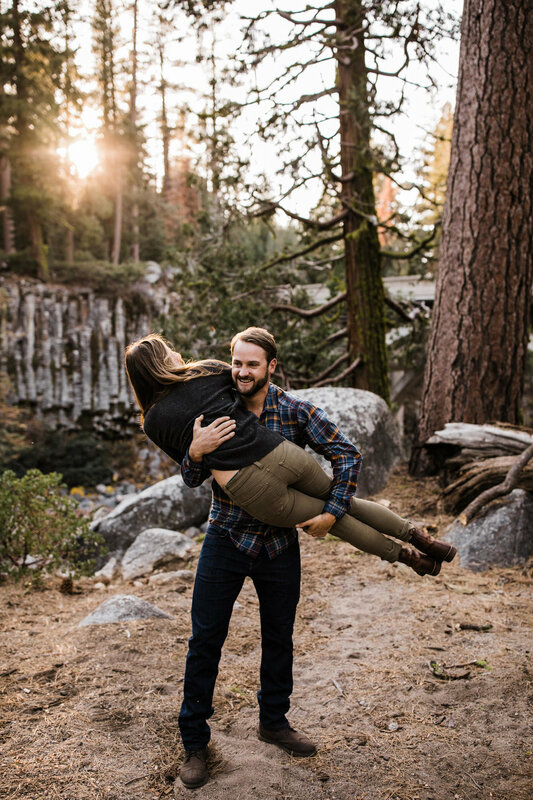 They were so playful, he was constantly surprising her with cuddly actions and goofy moves which made for some amazing photos! They brought their sweet puppers who were both equally charismatic and adorable in front of the camera. Everything about their session felt so natural and loving - something we always hope for going into any photo session! 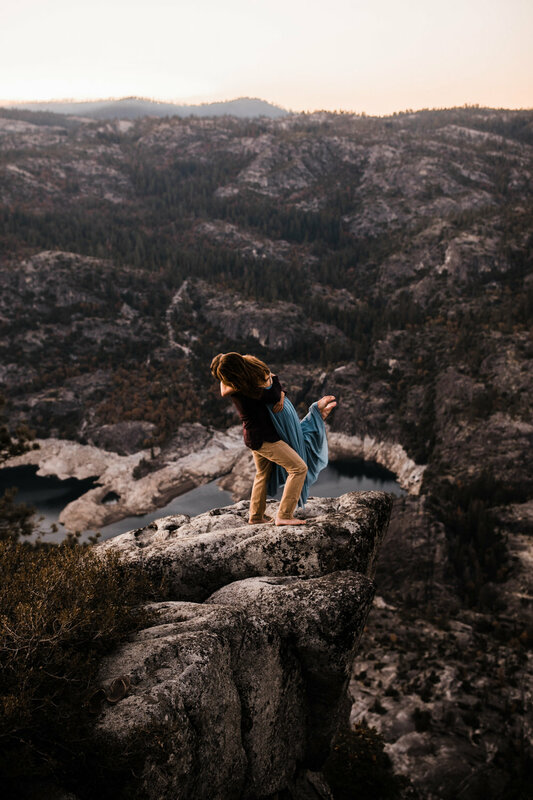 After exploring the banks of the Stanislaus River, we headed up to a gorgeous overlook high in the sierras for sunset. This place is such a gem and we're so glad we found it! The sunset was gorgeous and we pretty much had the place to ourselves. Lauren + Nick enjoyed every second together and we loved exploring with them. 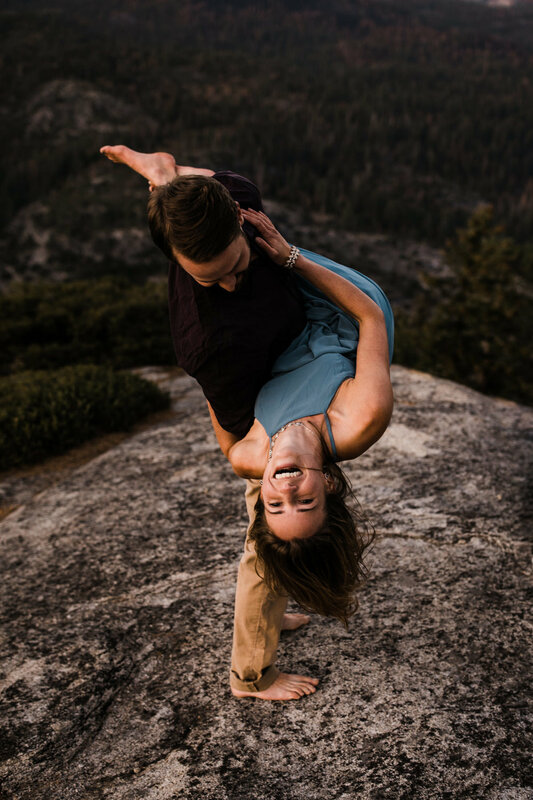 We talked about everything from wedding plans to life on the road, including their own plans to buy and convert a van one day. After the sun went down and the cameras were put away, we shared beers and snacks (they brought us our favorites - snickers and gummies!) and talked for what felt like hours. We had such a great time getting to know these two and feel so thankful to have connected with them. I absolutely love how these photos turned out - for any future couples, take note! 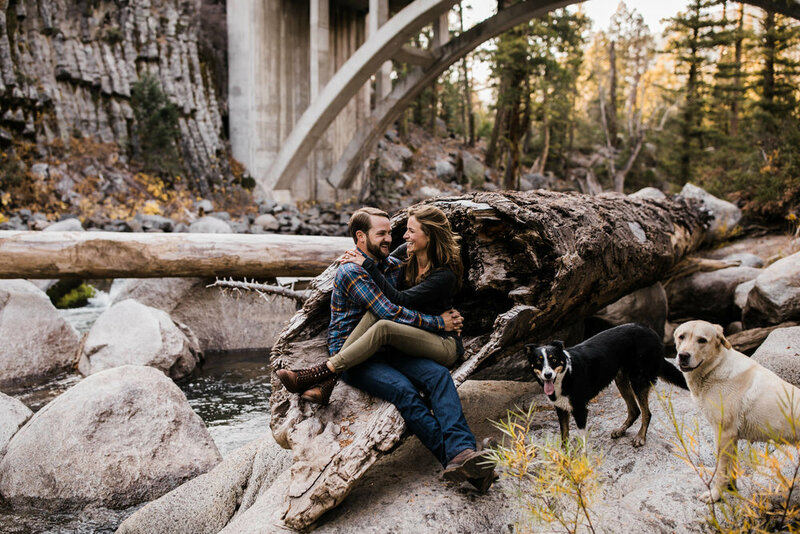 Have fun together, bring your dogs ;) and enjoy your engagement session. It will show in the photos!